For the best service specials for your Volkswagen, look no further than Dreyer & Reinbold Volkswagen in Greenwood, IN. We offer discounts on everything from service check-ups, brake fluid replacement, Volkswagen wheel alignment, VW oil changes and many other services and repairs up to 15% off. If you’re looking to get more in-depth work done by our professionals specializing in Volkswagen repair, visit our Volkswagen Service Center and call or schedule an appointment to get your Volkswagen serviced quickly and efficiently. 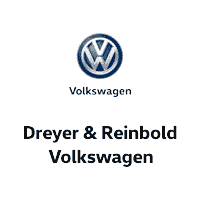 Dreyer & Reinbold Volkswagen has all of your Volkswagen service and repair needs covered. Our certified technicians will change your oil and filter with VW approved products. *Valid for regular or express service. Can only be used at Dreyer & Reinbold VW. Must present coupon at time of write-up. Cannot be combined with any other offer. Prices may vary by model. Service completed per model specifications. VW vehicles only. Includes: Castrol Synthetic Oil change, Tire Rotation, Air Filter, Pollen filter. Our certified technicians will change your oil and filters with VW approved products. *Diesels-$10 higher, 0W-20-$20 higher. Our certified technicians will inspect your brakes, rotate your tires, and change your oil/filter with VW approved products. Rotating your tires keeps the tread even, extends their life, and increases safety. Our Certified Technicians will perform a 4 wheel tire rotation and inspect your brakes. Our certified technicians will rotate your tires, perform a computerized spin balance on your tires and inspect your brakes. Includes: A/C evacuation and recharge with fresh freon and dye, a visual leak inspection, and performance check. *Not valid for express service. Can only be used at Dreyer & Reinbold VW. Must present coupon at time of write-up. Cannot be combined with any other offer. Prices may vary by model. Service completed per model specifications. VW vehicles only. Includes: Meticulous exterior and interior detailing, Condition leather and vinyl, Polish and wax to a high gloss shine, and more. *Coupon not valid with any other offer. Must present coupon at time of purchase. *Valid at Dreyer & Reinbold Volkswagen. Cannot be used towards the purchase of tire, alignment, or detail. Not valid for express service. Can only be used at Dreyer & Reinbold VW. Must present coupon at time of write-up. Cannot be combined with any other offer. Prices may vary by model. Service completed per model specifications. VW vehicles only. Offer applies to all in stock VW DriverGear. So no limit on times of use! *Applies to all in stock Dreyer & Reinbold Volkswagen DriverGear. Cannot be combined with other offers. See dealer for more details. Our Certified Volkswagen technicians will read your vehicle’s codes and provide you with an estimate.